Youth are an increasingly vocal group in the water industry. Many youth groups have sprung up in recent years, aiming to guide and define the global conversation on water-related issues. 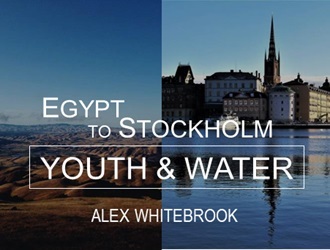 CWR’s intern, Alex Whitebrook, is a board member with one such organisation – the World Youth Parliament for Water (WYPW). The WYPW has represented youth at several events and meetings this year. As 2018 soon draws to a close, here are some key takeaways from Egypt and Stockholm. The WYPW is a youth network acting for water around the world. Its members ensure that youth voices are heard by decision-makers, take local action in their communities, and team up for shared solutions. With members based in over 80 countries around the world, the WYPW involves a range of regions and socio-economic contexts. The work of the WYPW focuses around three core actions – advocacy, awareness and projects. Marly’s team is constructing rainwater harvesting and distribution systems for ten families and an elementary school, benefiting over 150 people. The Benin Youth Parliament for Water is organizing a cleanup and hygiene awareness campaign for elementary and secondary schools in the region. Nare’s project is creating a network of civic journalists in Armenia to create a dialogue about water crimes. Training sessions will help participants understand and report on these crimes constructively. In October 2018, the WYPW partnered with the Swiss Agency for Development and Cooperation (SDC) to promote cooperative transboundary water management under the policy of ‘Blue Peace’. A detailed presentation was given on the history and purpose of the policy as a catalyst for discussions around cooperation on water issues. The SDC delegate to Egypt, Mufleh El-Alaween, highlighted the agenda of Blue Peace Movement and how can water become a gateway to peace. This message came as part of a workshop at the World Youth Forum in Sharm El Sheikh, Egypt. Entitled “Day Zero: Water Security in the Wake of Climate Change”, the full day workshop encouraged participants to directly confront the global water crisis and develop cooperative solutions. 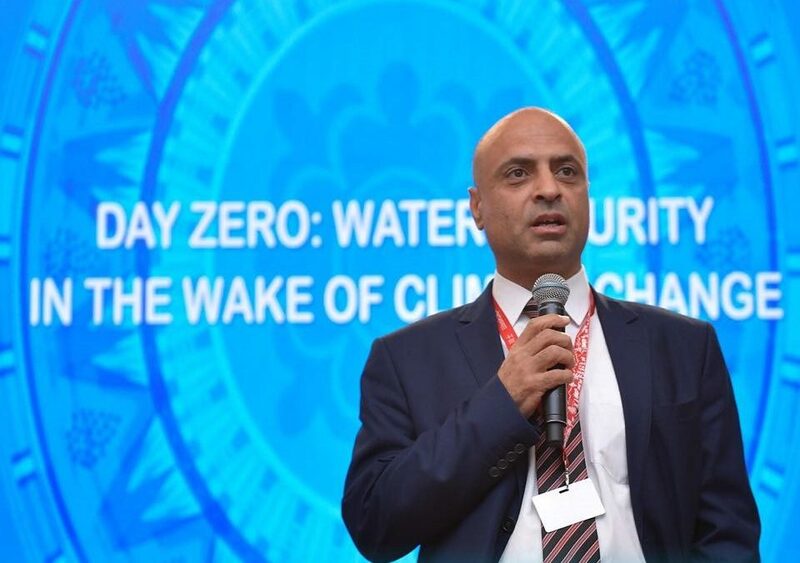 Mr El-Alaween highlighted that global policy measures may help reverse tensions on water issues and foster opportunity for socio-economic development. Events such as the World Youth Forum allow the WYPW to lead insightful discussions on the way in which all water-related issues affect youth. 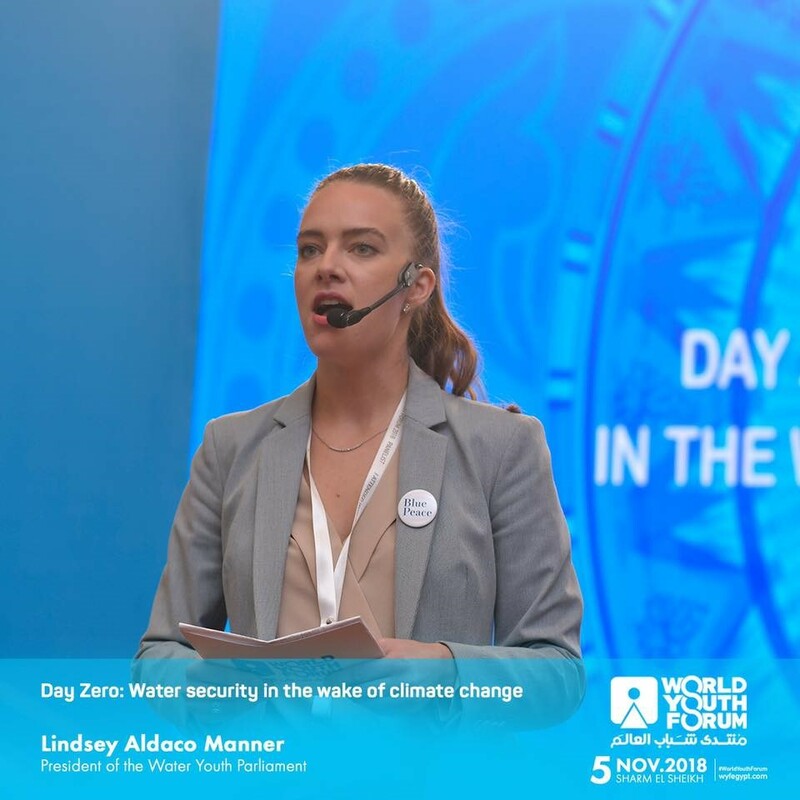 As the President of the WYPW, Lindsey Aldaco-Manner highlighted the critical nature of youth’s relationship with water issues, accounting for 40% of the world’s population. Creating opportunities for vibrant discussion on water issues is important for raising awareness and capacity among young people to lead well in the future. 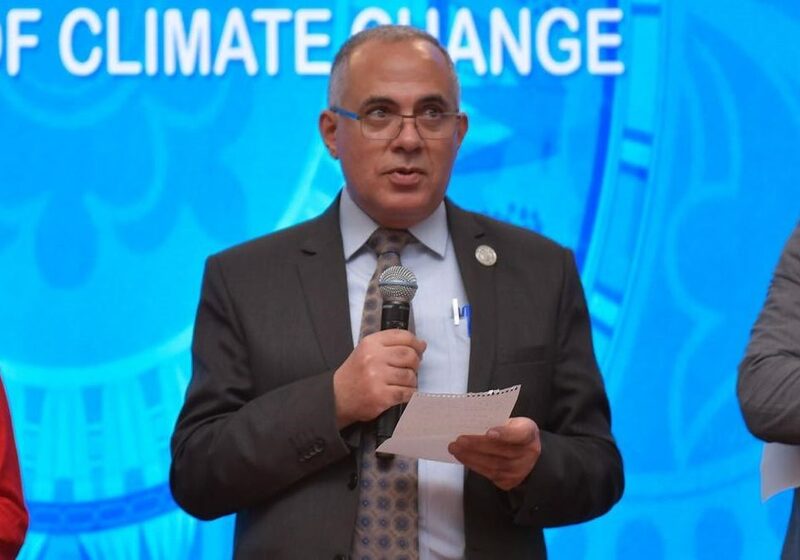 Egypt’s Minister of Water Resources, Mohamed Abdel Aty, also participated in the WYPW’s workshop. He highlighted the importance of water issues across borders. The Minister held a dialogue between himself and a random selection of audience members from different regions and countries. In doing so, the Minister aided WYPW in emphasising the importance of international dialogue. At a higher level, WYPW also serves as a partner to many more ‘senior’ organisations within the water industry. Members of the WYPW regularly sit on the Steering Committee of the Global Water Partnership (GWP). This opportunity allows WYPW to guide the global discussion on water issues with the interests and concerns of youth in mind. The most recent meeting occurred in early December 2018 and involved an in-depth discussion on the strategy of the GWP in the coming years. It was decided within the meeting that a greater effort needed to be given to improving communication between all stakeholders for combined action. 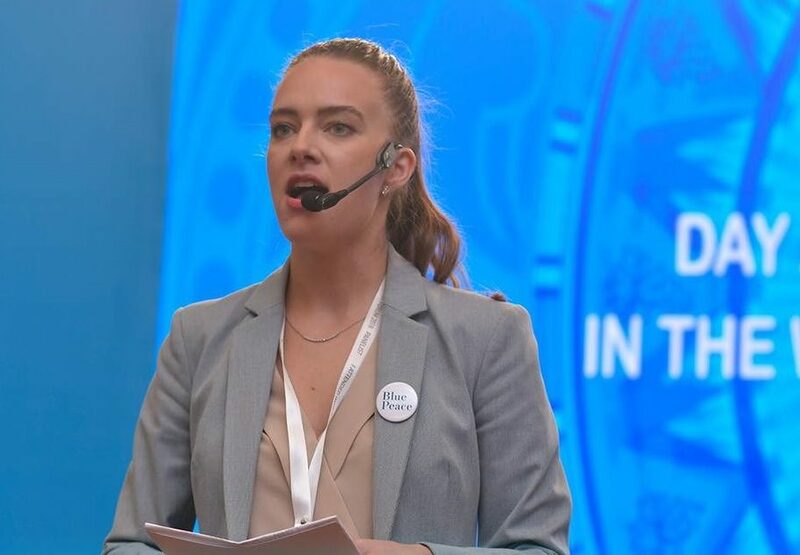 Involvement with groups such as the GWP in Stockholm, and through events such as the World Youth Forum in Egypt help to push greater involvement of youth in global water issues. Youth are just as diverse and complex as the water-related issues that the world is trying to solve, each with their own competing priorities. Organisations like WYPW facilitate the channelling and alignment of youth concerns to the forefront of the water conversation as valued contributors and potential leaders of change. Alex is currently an intern for CWR. He conducts research in the field of development with a strong focus on food and water security. He has published work with the Global Water Operators Partnership, written for both UN Water and UNDP China, and liaises as a youth repetitive with the Global Water Partnership and the International Secretariat for Water. Most recently he has worked with Oxfam Great Britain to write a report on water sanitation and hygiene in the global south, and the Geneva Water Hub to write a report on the protection of water infrastructures during armed conflicts. Alex graduated from the University of Western Australia with a bachelor’s degree in international Relations and Asian Studies, alongside a Diploma in Mandarin. His professional experience lies primarily in international non-government organisations, think tanks, and publishing firms, where he has contributed his political expertise and research capabilities to benefit the study of international food and water security. Currently, he is a master’s candidate at The Graduate Institute of International and Development Studies, Geneva.